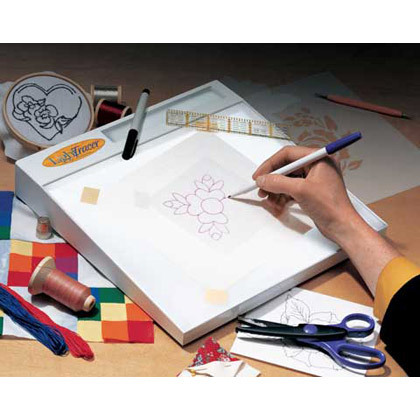 This portable light box features a 10" x 12" slanted tracing surface illuminated by an 8-watt fluorescent bulb. 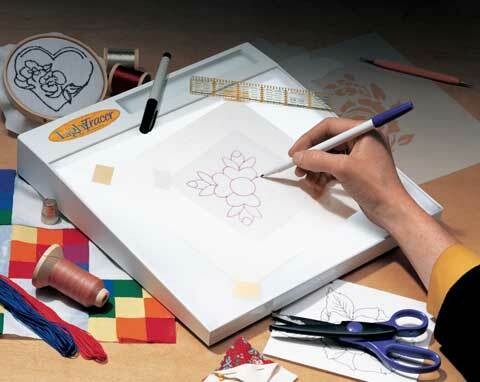 It makes transferring designs and patterns fast and easy. Great for embossing, calligraphy and lettering, memory book making, stenciling and more.